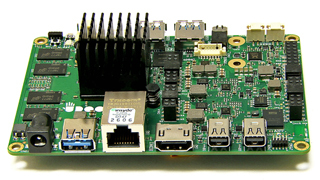 Tinker Board is a Single Board Computer (SBC) in an ultra-small form factor that offers class-leading performance while leveraging outstanding mechanical compatibility. The Tinker Board offers makers, IoT enthusiasts, hobbyists, PC DIY enthusiasts and others a reliable and extremely capable platform for building and tinkering their ideas into reality. 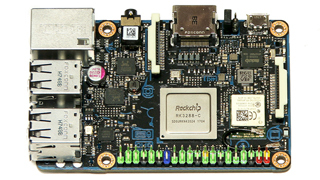 ROCK64 is a credit card size 4K60P HDR Media Board Computer powered by Rockchip RK3328 Quad-Core ARM Cortex A53 64-Bit Processor and support up to 4GB 1600MHz LPDDR3 memory. It provides eMMC module socket, MicroSD Card slot, Pi-2 Bus, Pi-P5+ Bus, USB 3.0 and many others peripheral devices interface for makers to integrate with sensors and devices. Various Operating System (OS) are made available by open source community such Android 7.1, Debian, Yocto and many more to come. 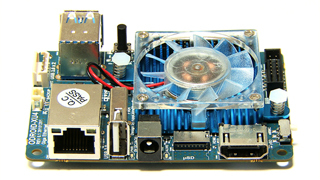 ODROID-XU4 is a new generation of computing device with more powerful, more energy-efficient hardware and a smaller form factor. 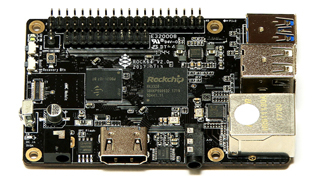 Offering open source support, the board can run various flavors of Linux, including the latest Ubuntu 16.04 and Android 4.4 KitKat, 5.0 Lollipop and 7.1 Nougat. By implementing the eMMC 5.0, USB 3.0 and Gigabit Ethernet interfaces, the ODROID-XU4 boasts amazing data transfer speeds, a feature that is increasingly required to support advanced processing power on ARM devices. This allows users to truly experience an upgrade in computing, especially with faster booting, web browsing, networking, and 3D games. 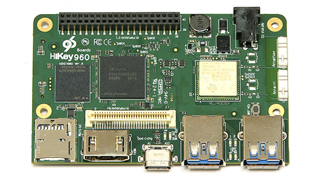 UDOO X86 is the New PC: the most powerful x86 maker board ever and an Arduino™ 101-compatible platform, all embedded on the same board. On UDOO X86 you can run all the software available for the PC world, from gaming to video streaming, from graphical editors to professional development platforms, plus all the software or the Arduino™ 101 world, including all the sketches, libraries and the official Arduino™ 101 IDE. You won’t ever worry about lack of drivers or stuff like that. This is a true next-generation computer. It is based on Quad Core 64-bit new-generation x86 processors made by Intel®, designed for the PC domain. Prodigious processors concentrated in 14 nm, with an amount of energy consumption of 5 or 6 Watt.